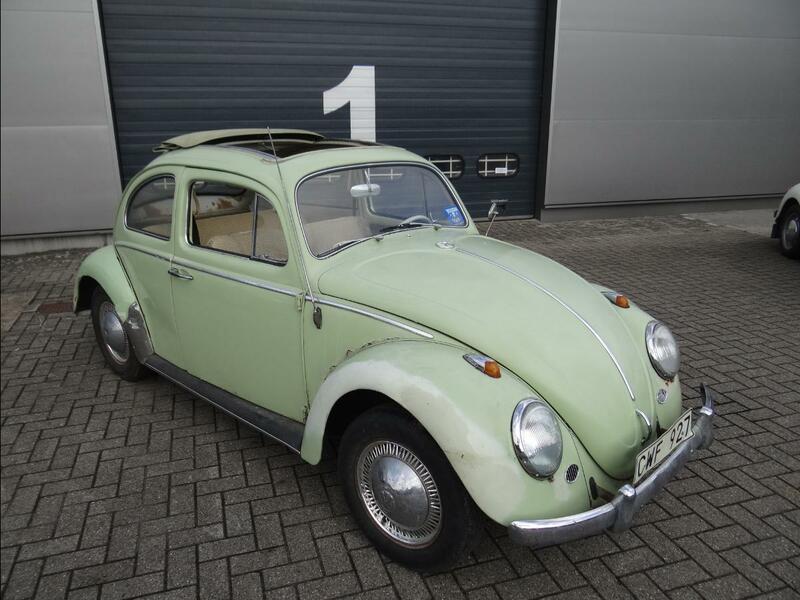 BBT nv // Blog » Fresh arrived beetles, ready to become yours… and a project Vanagon too! 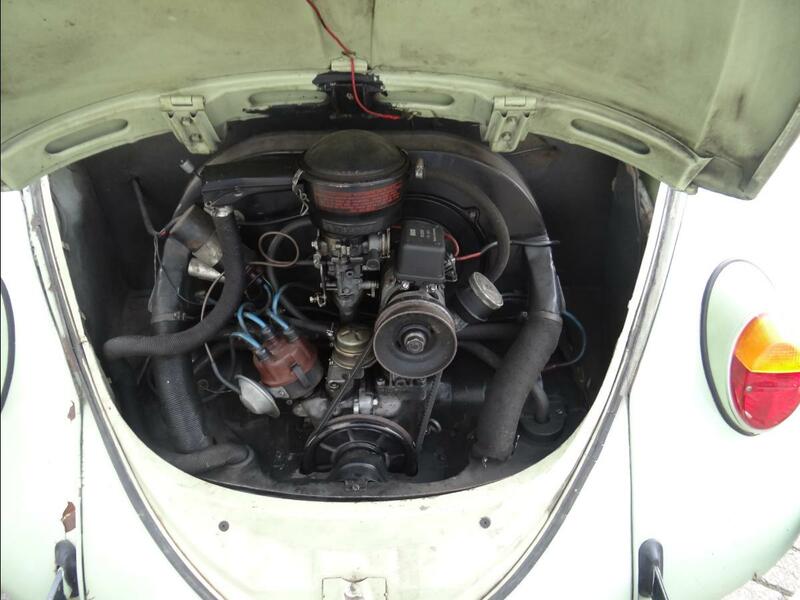 Fresh arrived beetles, ready to become yours… and a project Vanagon too! 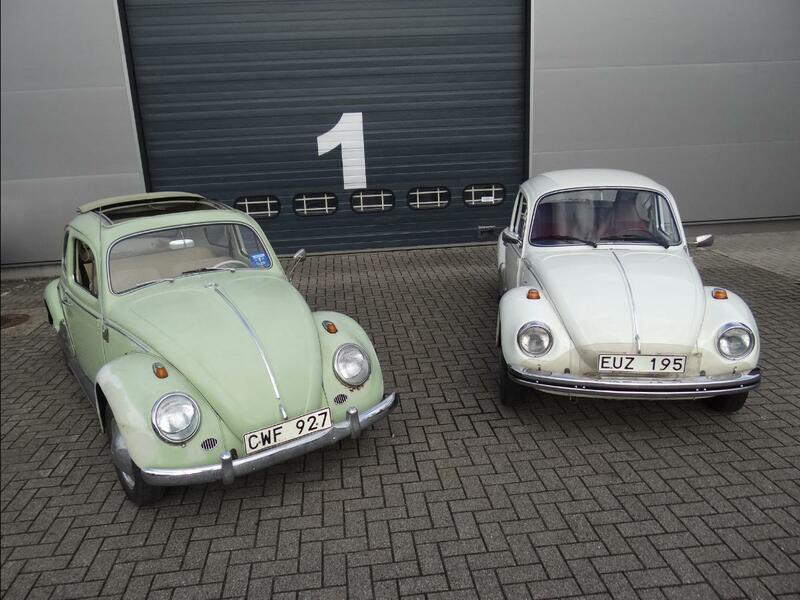 We got a couple of cool beetles arrived over the weekend, and after a quick wash we’re proud to present these cuties for sale…. 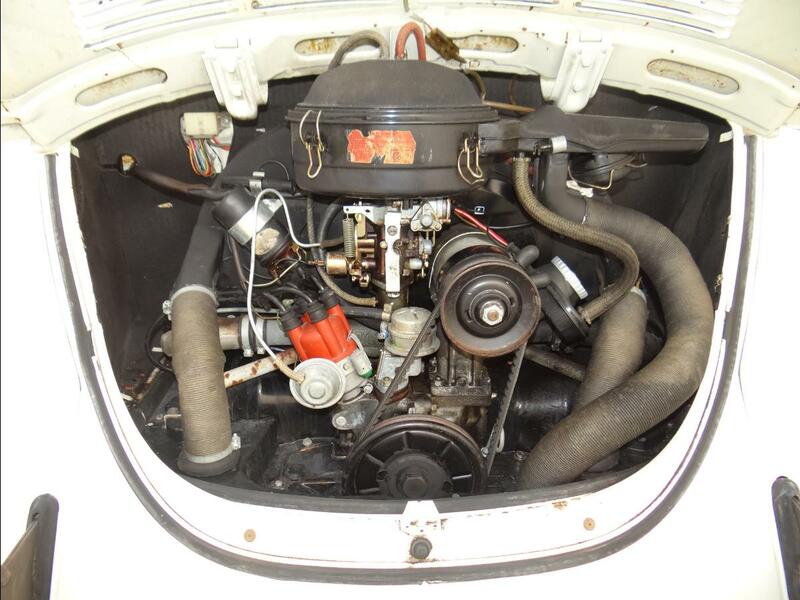 Lets start first with this immaculate 1303S build in Sept 1972 this is a very early production car. 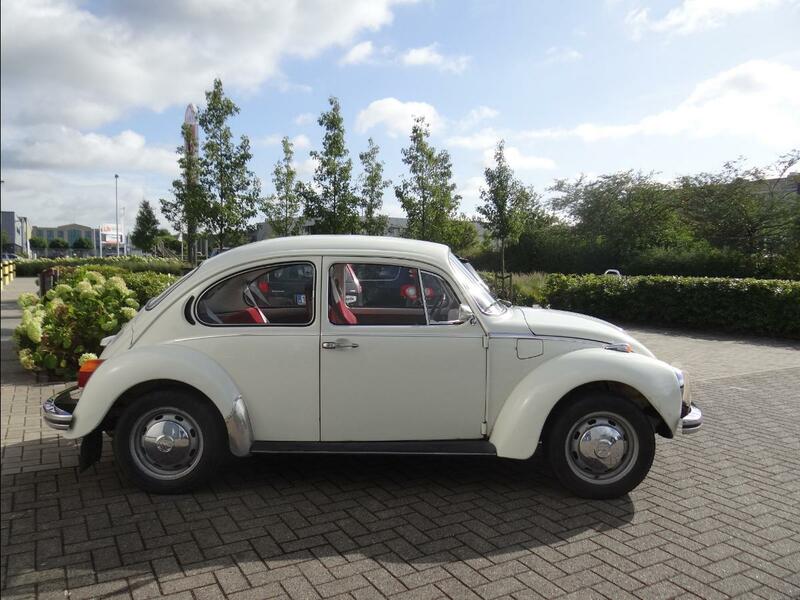 We bought it straight from the first lady owner, who sold it because of not able to use it anymore, a real first owner old lady car…. in mint condition like it is supposed to be! 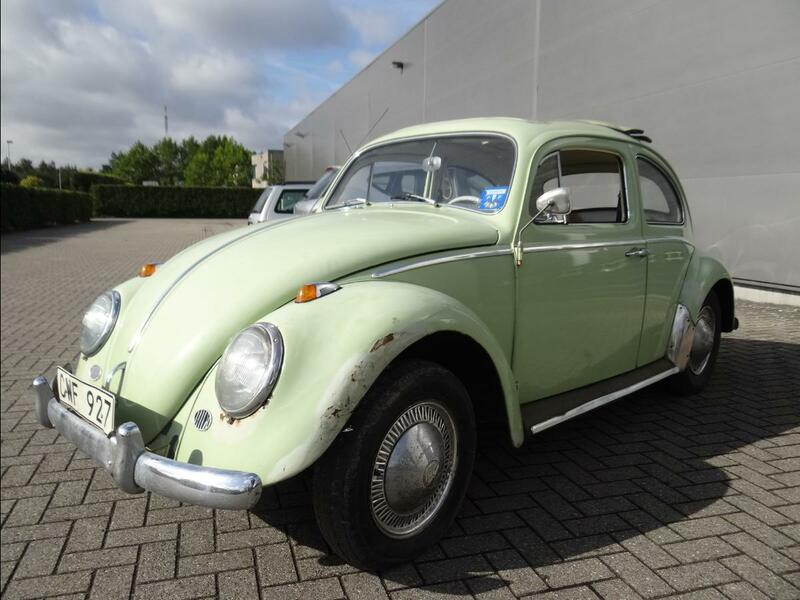 A real nice all original paint 1303, in super solid condition, believe me, this is harder to find as a solid oval window, the larger the taillights, the less thickness in metal was used in Wolfsburg. 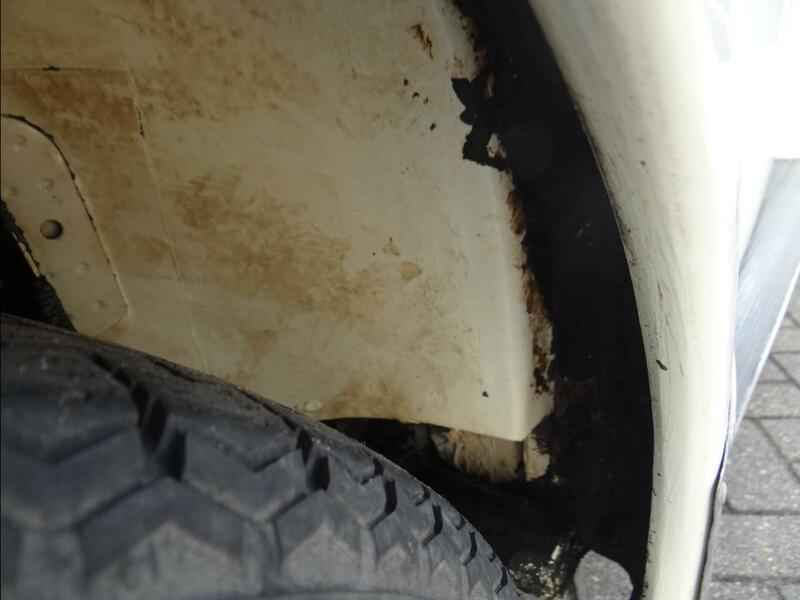 This baby received extremely well rust prevention, traces are still everywhere, what worked real well as we can see, super solid, all original…. a very nice car to receive a super detail job. Mint totaly uncracked dashboard, all together in regards to switches etc. 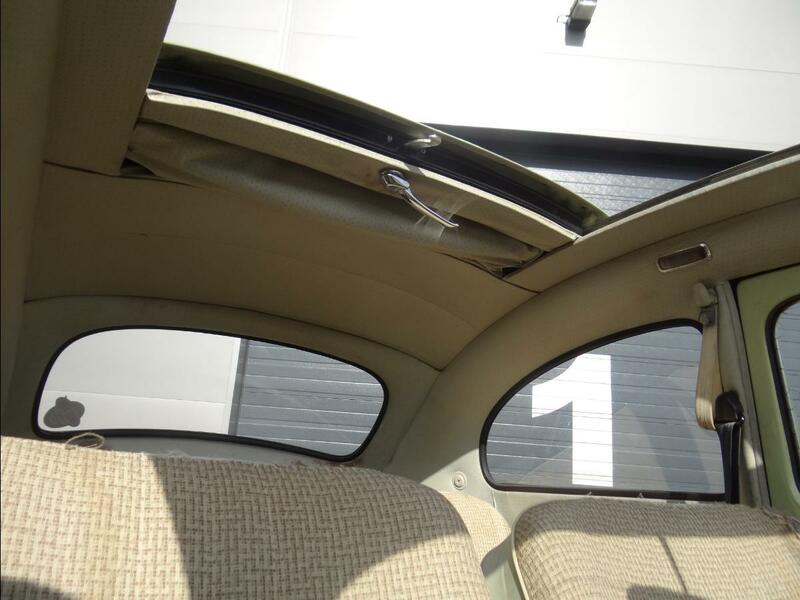 no cracks, no nothing, do come even with original 1303 Eberspächer fuel heater from the factory. 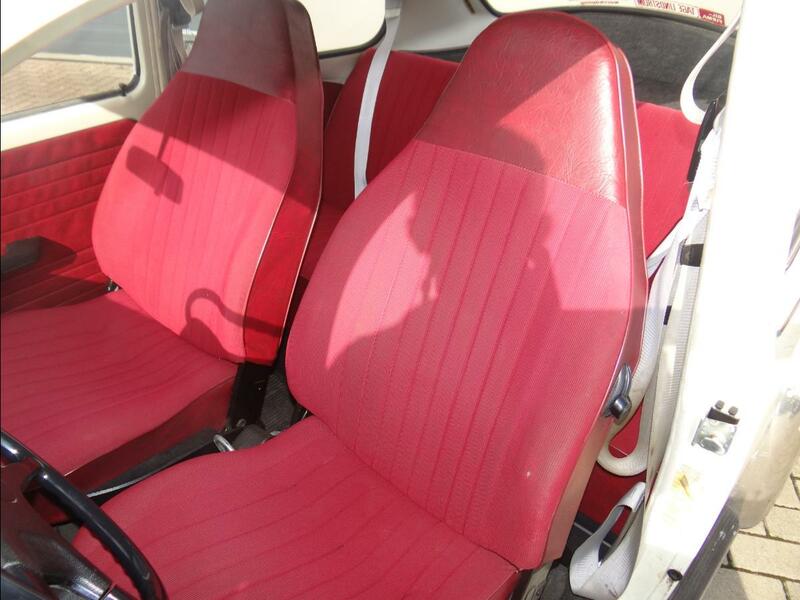 All original red upholstery in extreme nice condition. 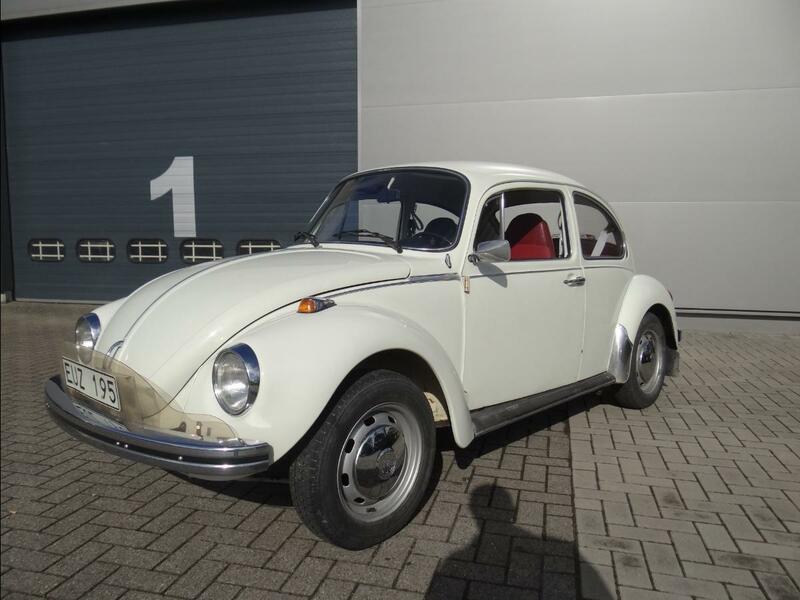 Pearl white original paint with a cloth red interior, the best of the best color combination to have, where are you gonna find another one? 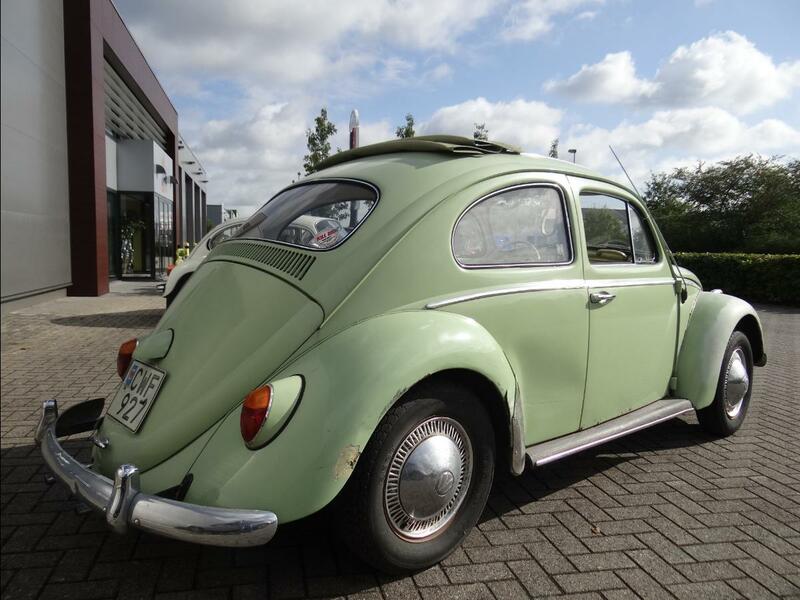 Mint condition, all original headliner, do we love originality in mint condition headliners? You bet! 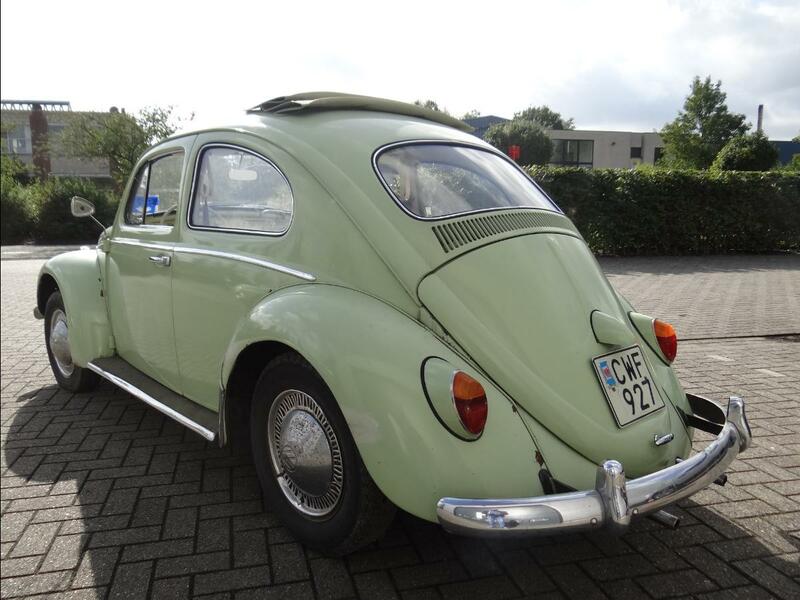 Next we have a June 1963 “Beryllgrün” Ragtop beetle, a color combo that makes every VW aficionado testosterone working! 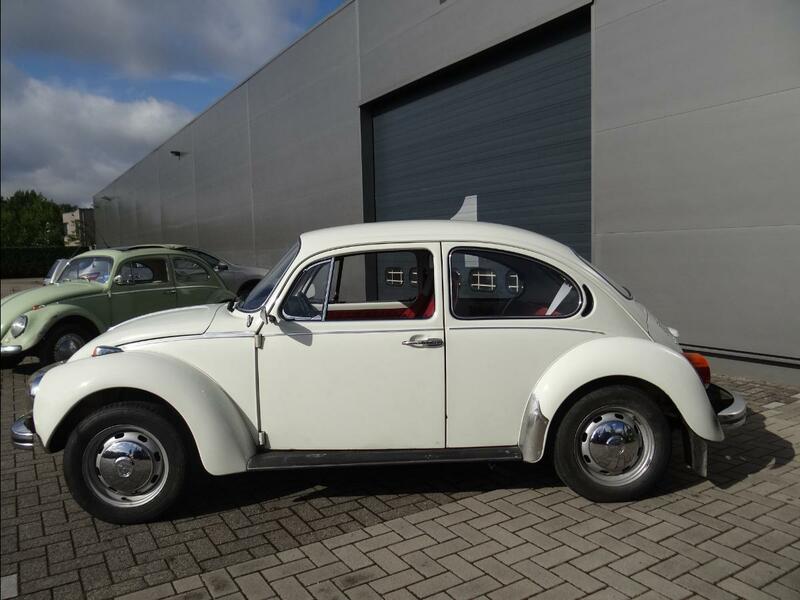 But close your eyes and imagine this car shiny… will be unbelievable don’t you think? A real Yammie, Virgin Outlaw project, don’t let it slip away…. 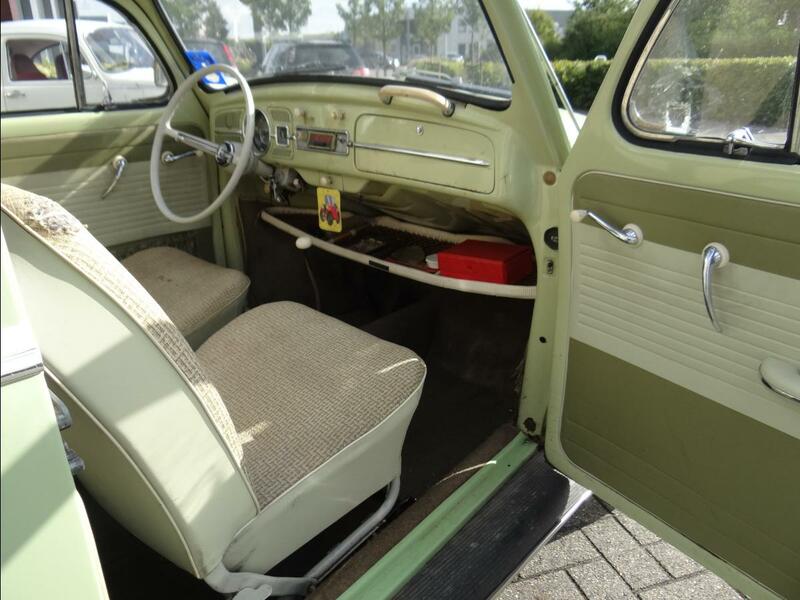 Inside nice, original and complete…. 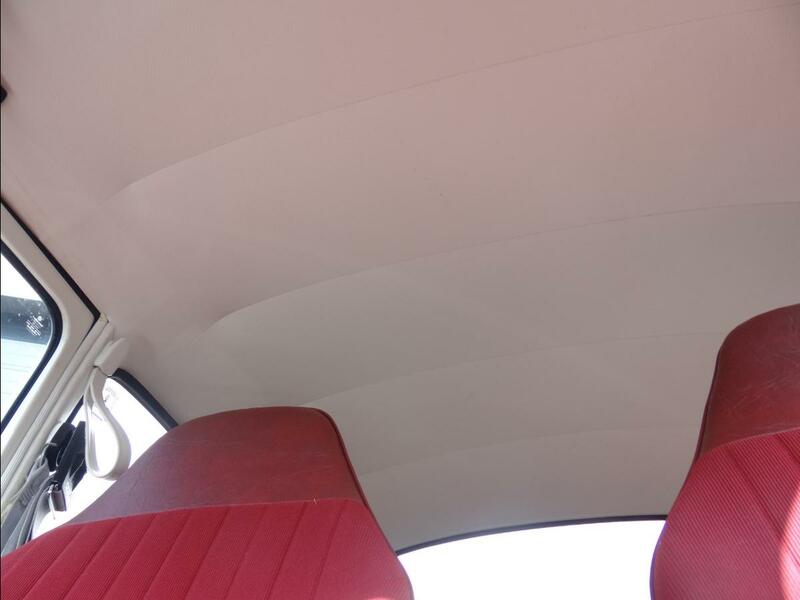 Do you get the ragtop fever looking at the pictures here under? In your garage anytime soon? 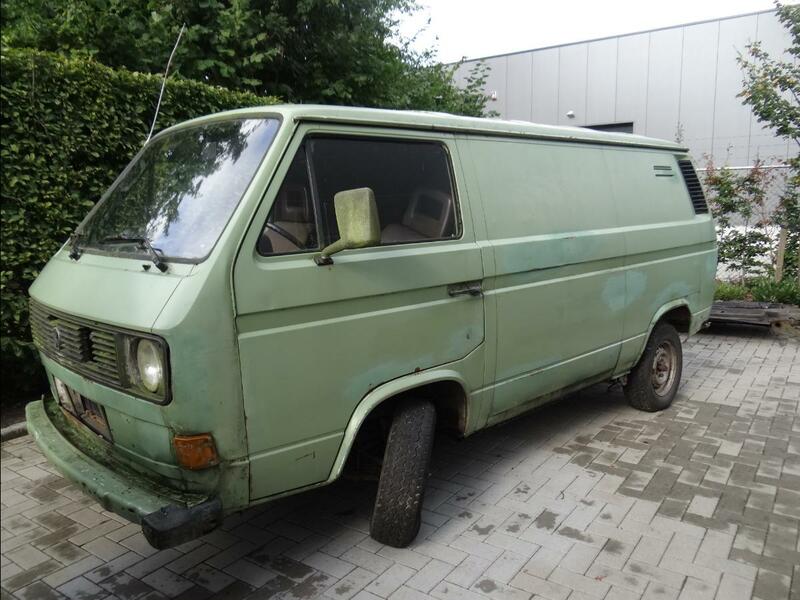 Last but not least, we ended up with a T25/T3 Vanagon, more like a parts donor, but with engine and transmission inside its a pretty complete bus, especially because its not rusted to death yet! 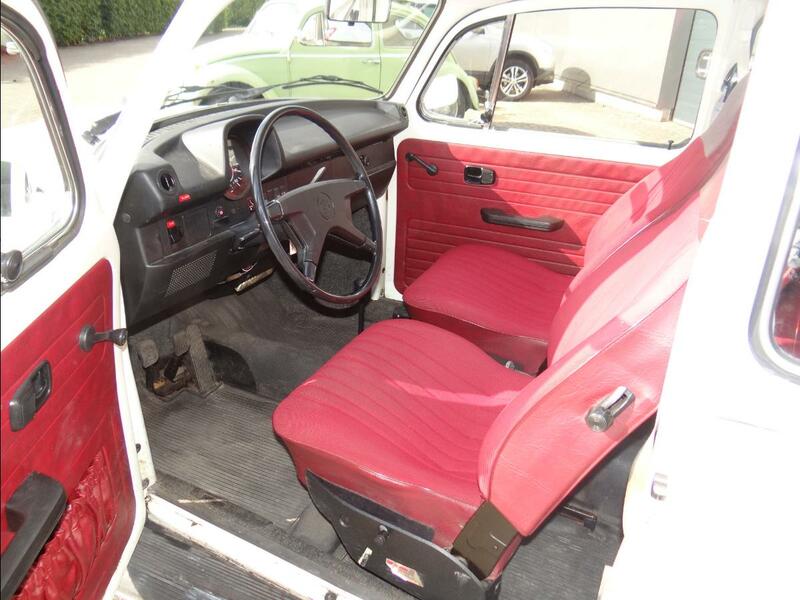 We will sell this extremely cheap, so grab your change…. 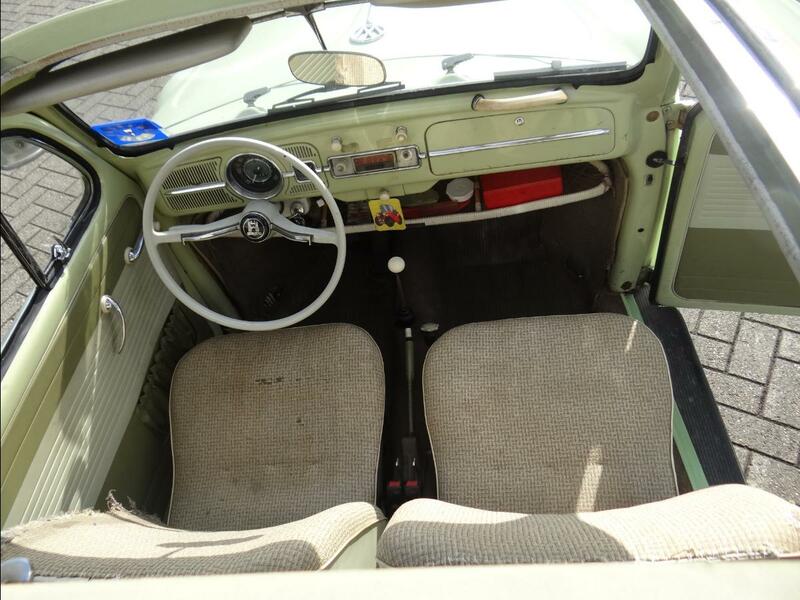 Is the 63 ragtop sold? 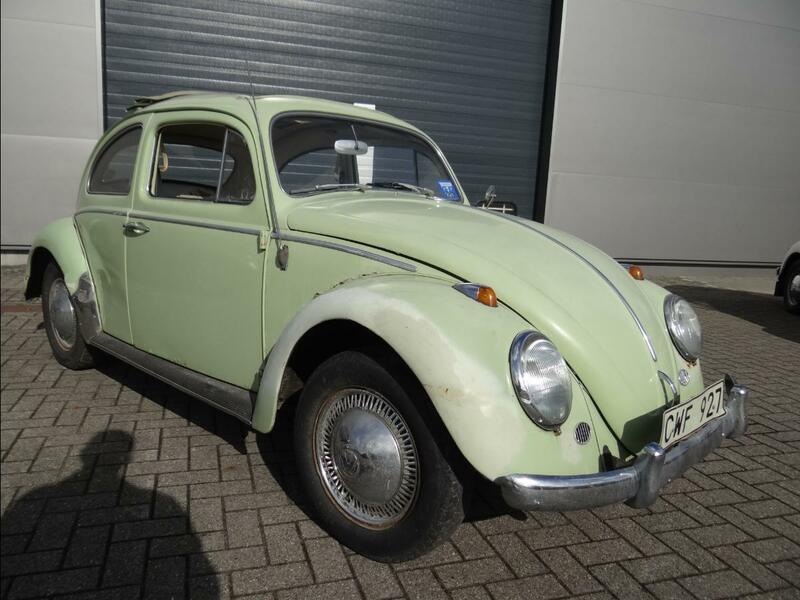 Have both of the buggies been sold already?